The Berger Hunting bullet line is proving to be the most lethal of big game hunting bullets available. 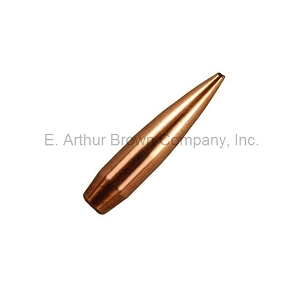 All of their Hunting bullets are made in the match grade VLD or Hybrid designs. These designs incorporate a sharp nose and slightly thinner jacket that allows the bullet to penetrate 2” to 3” before it starts to expand. This results in shrapnel and hydrostatic shock, creating a massive wound cavity. Match grade accuracy in hunting bullets!